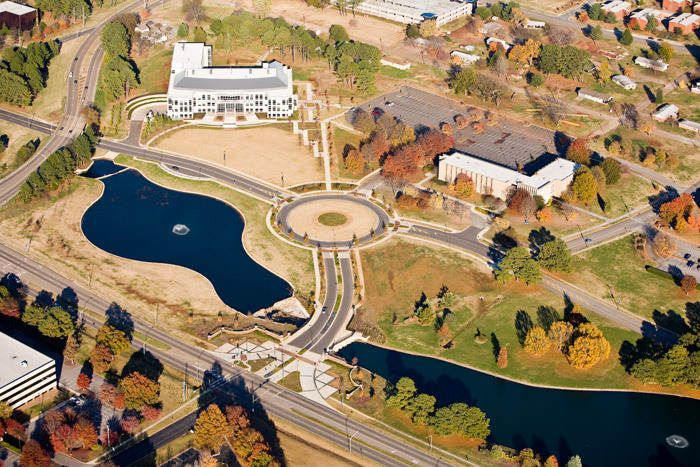 PWM performed Civil Project Management and design of site work, grading, drainage, roadway improvements, lake expansion, parking and utilities, including overland hydronic piping for the University of Alabama in Huntsville on the Applied Science Building, a 141,966 SF facility consisting of classrooms, laboratories and office space. Project design was coordinated with Hellmuth, Obata + Kassabaum (HOK), the Project Architect and Planner. Approvals through the Alabama Building Commission, City of Huntsville, and the University of Alabama in Huntsville were achieved by the PWM team. The project included various components that were key elements in accomplishing the large and complicated project. Designs included large modular retaining wall, fire protection service, underground hydronic piping for chilled water and hot water, traffic circle study and design, lake sedimentation basin and dam for lake expansion, along with typical site grading and drainage.